Larry Bond is the author of several bestselling military thrillers, including Crash Dive, Cold Choices, Dangerous Ground, Red Phoenix and the Larry Bond’s First Team and Larry Bond’s Red Dragon Rising series. He was a naval officer for six years, serving four on a destroyer and two on shore duty in the Washington DC area. 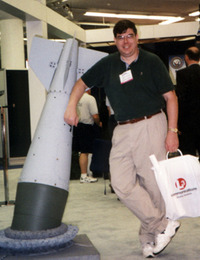 He's also worked as a warfare analyst and antisubmarine technology expert, and he now writes and designs computer games, including Harpoon and Command at Sea. He makes his home in Springfield, Virginia. Is this you? Let us know. If not, help out and invite Larry to Goodreads.